With Christmas about six weeks and one pay cheque away, thoughts inevitably turn to Christmas gifts. Whether it’s a stocking filler or Secret Santa gift, or a thank you to a close friend, these can be tricky to get right. So give the gift of gaming! The criteria I’ve used is: less than £20; small stocking-sized box; anyone can learn and play; they play in 30 minutes, and they’re currently in print and easily available. Seriously – I challenge any of you not to be able to get a handle on these games straight out of the box in just a few minutes, even with tired and tipsy relatives full of wine and turkey! This inevitably leads largely to a list of card games, but thankfully there’s an amazing variety of high quality ones on the market. And I have managed to throw on a couple of dice and dexterity alternatives. Games are linked by the title where I’ve reviewed them elsewhere on the site. And, as always, if you have any questions – or your own recommendations – just pop them in the ‘comments’ below. One of the most popular game mechanisms of recent times is card drafting (or ‘pick and pass’): look at a hand of cards, keep one then pass the rest to your left, taking the cards of your neighbour on the right – until you have a hand of cards to play the round with. Sushi Go! distils this to its simplest form while retaining enough game to be fun. Not only that, but it costs £10, comes in a lovely little tin and has some of the cutest artwork I’ve seen for a long time. 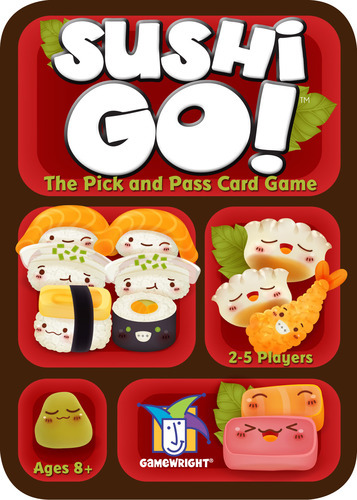 The idea is simply score the most points – which you do by collecting sets of sushi cards in various flavours. The box says eight-plus but I think you could even go a little lower than that (a clever six-year-old wouldn’t have a problem). A great leveller between the ages, speed pattern recognition games can really get a family gathering going. This is somewhere your four-year-old can take on granddad and win – as well as mum, dad and teenagers too. And it’s less than £10 to buy. Each card in Dobble has a bunch of symbols on it – and your job is simply to match two of them. Well, simple except that everyone is trying to do it/grab it at once. Mayhem duly ensues – and when you get bored, there are several different ways to play included in the rules. 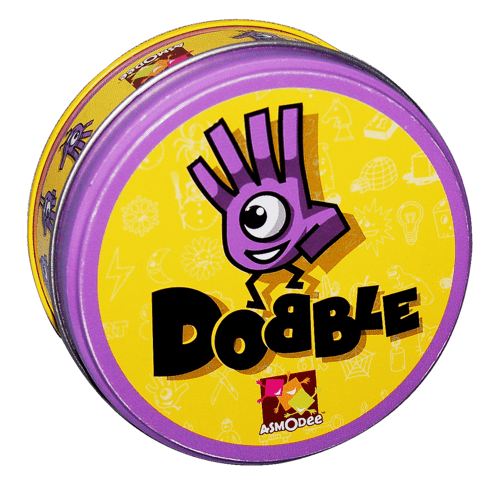 If people already have and love Dobble, try Jungle Speed – an older game in a very similar vein. While some people get a bit sniffy about Yahtzee, I think it’s a perfectly good game – but it’s just a little long and solitary for what it is. Qwixx takes the base premise of Yahtzee (deciding how to use numbers on dice to get the best score), but does two important things: halves the play time, while making everyone involved in every dice roll. It’s colourful and simple but there are genuine decisions to be made each round, making it palatable for gamers and non-gamers alike – while it will set you back less than £10 and can comfortably be enjoyed by kids too. If your crowd isn’t into abstract games, it’s worth checking out the likes of Dungeon Slayer or Zombie Dice as cheap, dicey alternatives. 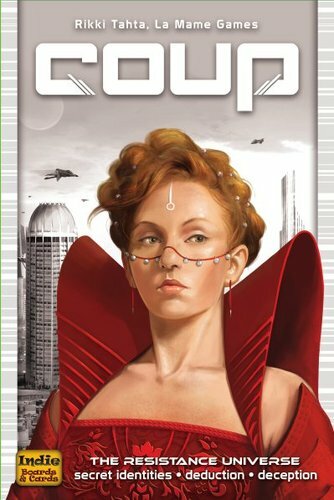 Coup is a game of bluffing and deduction – and assassinating everyone else around the table. Twice. It’s about £10 and plays from around 10 years and up. The idea is stay alive the longest. You each take two hidden political roles (there are duplicates of each) and each roll has a special ability. If you know anyone who’s into fantasy but hasn’t really discovered the world of card and board games, this is a brilliant place to start. This little push-your-luck card game is less than £10, has great artwork, and is a great example of how games have evolved in recent years without getting more complex. Each turn a ‘hero’ (made up of seven equipment cards) enters the dungeon. Player’s take it in turns to draw a monster card, which they either place face down in the dungeon (making it harder) or discard face down – but if they discard it, they must discard a piece of hero equipment. 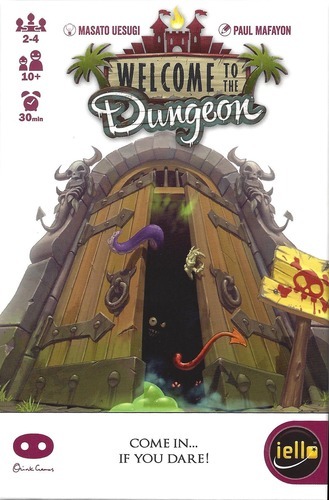 Alternatively you can pass – because the last player left in will have to try and guide the hero through the dungeon by turning over cards and using the remaining equipment to defeat the monsters. A success scores a positive token – a failure a negative one. You’ll need two positives to win – but two negatives and you’re eliminated. 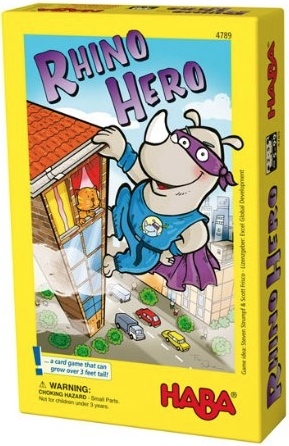 While essentially a small box card game (once again costing less than £10), Rhino Hero is actually a dexterity game. As the box suggests, you’ll be trying to help our brave rhino hero reach the top of the building – which you’ll be building with the cards in a kind of strange reverse Jenga fashion. Each player has five floor tiles, which when placed tell the next player what they have to do on their go. You’ll always have to add walls, but you may need to do extra things – lay more walls, move the rhino, or switch direction so the previous player has to go again. It’s clean, daft fun and won’t give grandma a heart attack when the whole thing invariably collapses (although the laughter might wake her up). 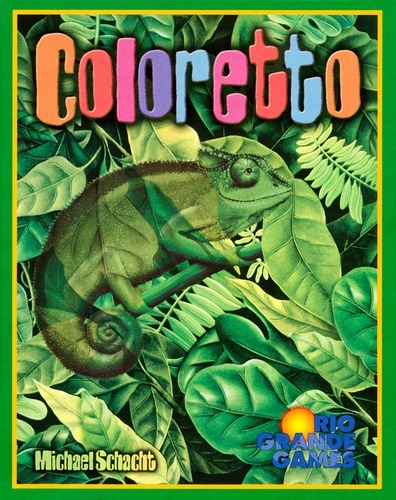 Coloretto is a great game to introduce to people who get sniffy about even the most basic deviations from traditional card game mechanisms: a set collection game with a really clever twist. On a turn you either draw and place a card into a set (there is one set per player and each set can have a maximum of three cards), or take a set (you must take one each round). The clever bit is the scoring. There are seven colours, but you will only score a maximum of three colours positively at the end (all the rest will be negative) – so you’re trying to make sets you want that no one else will, while not making any too tempting for other people to take. Five minutes to explain and set up, hours of fun. Diamonds and Clubs are also worth a mention here: new takes on the classic trick-taking card game Hearts, each with its own clever twist (and all of these are about £10). Dice Heist is a clever yet super simple push-your-luck dice game, where each round you add treasures to galleries then decide to build up your crew (grab another dice) or try and rob a gallery (roll dice). Kids and adults alike will pick it up in no time, there’s low set up time and it plays fast and fun – with the scores worker out through various set collection mechanisms at the end. If you like push your luck and set collection, but not dice, there’s a great new edition of Archaeology: The Card Game out now called Archaeology: The New Expedition. While 6 Nimmt! steps outside the 30 minute barrier I put on this top 10 list, it’s new cousin X Nimmt! solves that problem nicely. I include both because 6 Nimmt! can be played in less time by lowering the end game target score, while it goes up to 10 players – making it great for big Christmas get-togethers. 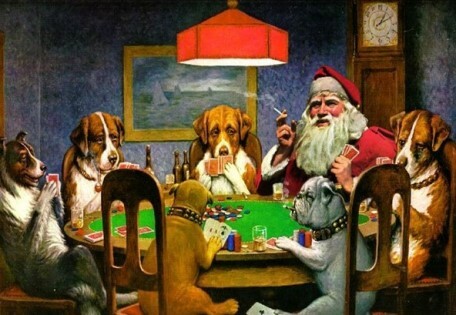 This shouldn’t scare off the relatives either – it’s a simple numbered card deck (there aren’t even suits). Each player is dealt a hand and you play a card each, each round – simple. I’ve even seen players play this randomly by just flipping a card (no, they never win). The key is not winning any cards, as lowest score wins. Cards go into rows and each can only have a certain number of cards in is: if your card should be next, you score the whole row. Players reveal simultaneously, and cards have to go on the row they fit on best. X Nimmt! 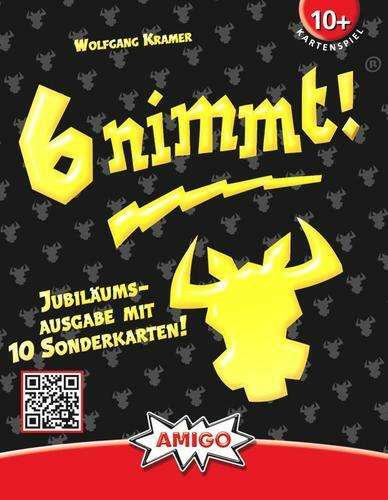 is great for 2-4 players, while 6 Nimmt! is better with more. 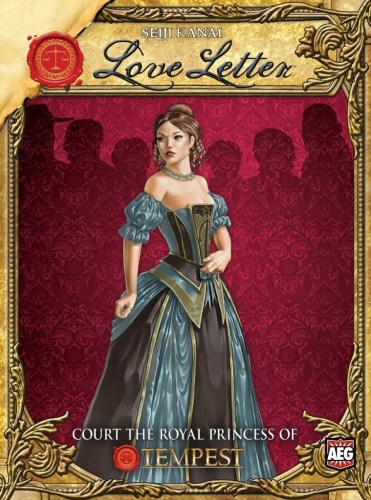 Don’t let the title or the girly cover art fool you – Love Letter is a mean, funny and quick little game about stitching up your opponents. But it’s light enough, and constantly ‘take-that’, so people don’t feel picked on – or worry about being mean to others. It’s very simple: draw a card, play a card, until someone wins each round.